I have a regular (not private reserve) on hand that we are thinking about cracking open in the next week or two. I’d be curious if you have any thoughts on whether the standard Beringer from that year will be any good at this point? Is the PR version a world apart? Thanks for reading. 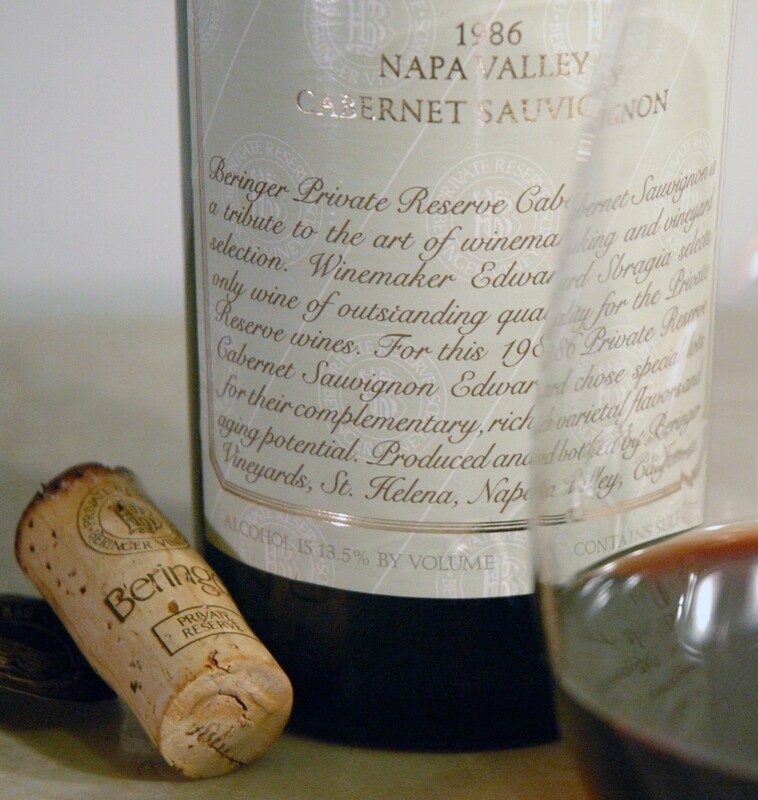 If your ’84 Beringer Cab has been properly stored for the entirety of its life, it certainly has a chance to be drinkable, but ’84 was not a particularly long lived vintage and that Cab was not built for aging. I would definitely have a back-up bottle on hand when you open that one, just in case. Beringer’s Private Reserve is several worlds apart from their intro level Cab. It really is the difference between a drinkable Napa Cab and a world class Cabernet Sauvignon experience.